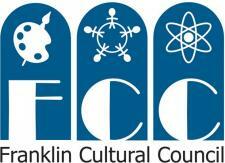 The Franklin Food Elves’ 2013 “12 Days of Donating” campaign exceeded goals on all fronts, collecting more than 3 tons of goods and $6,700 to benefit the Franklin Food Pantry well into the new year. The 75 Food Elves, together with Franklin Downtown Partnership businesses, collected 7,357 pounds of non-perishable goods and $6,700 in the food drive last December. That is a significant increase over 2012 when 50 Elves collected just over 4,200 pounds of goods and $5,700. “According to the 2013 Status Report on Hunger in Massachusetts recently released by Project Bread, there are 700,000 households in our state for whom having enough to eat is a struggle,” says Erin Lynch, director of development for the Food Pantry. “This impacts us locally, yet many still don’t realize the magnitude of the issue. Food Elves co-founder Cameron Piana is proud of the hard work of the Elves, who went door to door in neighborhoods to collect food and other necessities. Local businesses were deeply involved in the campaign. DCU donated $3,000 and once again Berry Insurance donated $1,000. Eight local FDP member businesses placed a donation bin at their location and each pledged $200 if the Elves hit their goal. Those businesses were DCU, Dean Bank, Dean College, Emma’s Quilt Cupboard, Franklin Downtown Partnership, Jane’s Frames, Murphy Business and Pour Richard’s Wine & Spirits. Support snowballed to include companies and organizations outside of Franklin who donated goods and dollars upon hearing about the campaign. For more information about the Franklin Food Elves campaign please contact the Franklin Downtown Partnership at downtown.franklin@yahoo.com. For more information about the Franklin Food Pantry please call (508) 528-3115 or go to their website, www.franklinfoodpantry.org. Pictured left to right, front row: Nicole Fortier, Dean Bank and Downtown Partnership; Erin Lynch, Franklin Food Pantry; Linda Sottile, Franklin Food Pantry; Beth MacBrian, DCU. Second row: Kevin Goffe, Dean Bank; Ann Williams, Pour Richard's Wine & Spirits; Cameron Piana, Food Elves Co-founder; Haley Frank, Food Elves Captain; Dave Drucker, Dean College; Jane Curran, Jane's Frames. Third row: Cam Strouse, Emily Shea, Karen Cunningham, Evan Strouse, Carter Castillo. 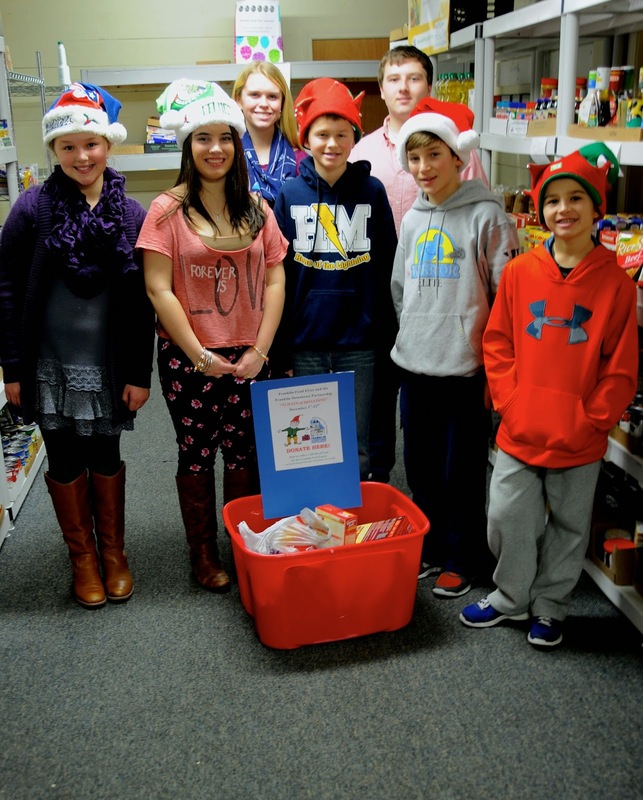 Seven of the 75 Food Elves, left to right: Karen Cunningham, Emily Shea, Haley Frank, Evan Strouse, Cameron Piana, Carter Castillo and Cam Strouse.